Women face a number of gender-specific risks when it comes to money. According to U.S. Census Bureau research, women earn roughly 80 cents on the dollar compared with men. In addition to the disparity in our paychecks, there is a far more significant lifetime earnings gap that is most prevalent with women who take time away from their career to raise children or take care of others. Of course, the mantra in a primary earner household is, “what’s mine is ours.” The income is meant to support the household. And that’s great—until it’s not. Life events and financial shocks can wreak havoc on the best-laid plans. The biggest disruptors are divorce, disability, unemployment, and widowhood. An at-home mom may find herself suddenly single. Even a working woman may have to leave the workforce prematurely to be the primary caregiver for her spouse or aging parents. Emergency reserves: Many financial planners suggest having savings that can cover three to six months of expenses on the side in an easily accessible account. In a household with a primary earner, leaning toward the higher end—an amount that can cover six months of expenses—is a good idea. Should the primary earner become unemployed, the household can weather this period of uncertainty without having to scramble to find other sources of income or consider drastic cuts in spending. Insurance: Make sure the primary earner has enough life and disability insurance to support the family should something happen. After all, that’s the income the household is relying upon. At the same time, consider the insurance needed to replace the contribution of the at-home spouse who runs the household but doesn’t earn a check. There is definitely a cost associated with these activities if they had to be outsourced. Family finances: In some households, there might be a division of labor. One spouse may be responsible for the day to day: paying the bills, balancing the checkbook, and managing schedules. The other spouse may be responsible for overseeing the investment and retirement accounts and household assets. It’s extremely important that both spouses understand the financial position of the household—what is owned and what is owed. What are the household debts? What are the savings and investments intended to help achieve future goals, and how is the family tracking to meet those goals? If using a financial advisor, both spouses need to be engaged in those discussions. And the advisor can help you further explore some of these “what if” scenarios. 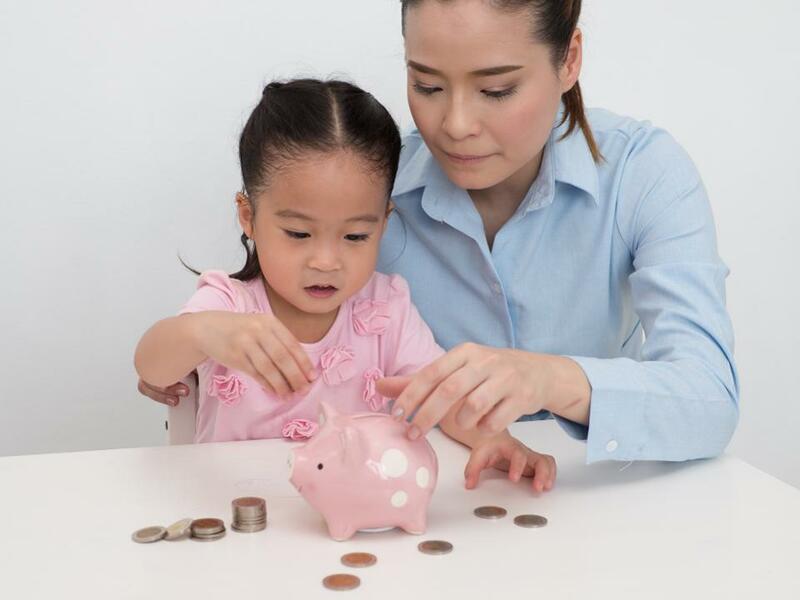 Investment acumen: An at-home parent is most likely relying on someone else to support the household; however, building financial acumen is a necessity. Learn how to save and invest, or better yet, put it into practice. Open your own savings and investment accounts to learn the lingo and gain experience. A spousal IRA may be a great place to start. There are fantastic books, podcasts, and resources to help you advance your financial IQ. Don’t forget to monitor your credit history, too. If you ever need to support yourself, you’ll be ahead of the curve. Earning potential: When women leave the workforce, they may be at home during their peak earning years. This career gap may make it difficult and even scary to reenter the workforce. Consider keeping a foot in the door. Part-time, contract, or consulting work will not only contribute to the household, it will help keep your skills sharp and your future hiring prospects brighter. Volunteering to maintain professional skills and engaging in supportive networks is also helpful. Continuing your education to advance a future career can be extremely rewarding. If you find yourself in a situation where you have a sole financial responsibility, you will have the confidence to make the most of potential opportunities. This article was written by Judith Ward from Forbes and was legally licensed through the NewsCred publisher network. Please direct all licensing questions to legal@newscred.com.